There are three very temperamental wild apricot trees down the street and during the six years we have lived here in the Cottage Grove neighborhood of West Seattle they have only produced two seasons of soft juicy fragrant apricots. Nobody takes care of these trees and it is difficult to tell whose property they are on. For all one knows maybe this is the reason for their oversensitive nature. Perhaps it is up to me to give them a little affection and show my appreciation for the fruit they unselfishly bear for no one other than a passer-by who happens to notice. If you happen to come across six juicy ripe apricots here is a wonderfully easy dessert you can put together for your family or guests. 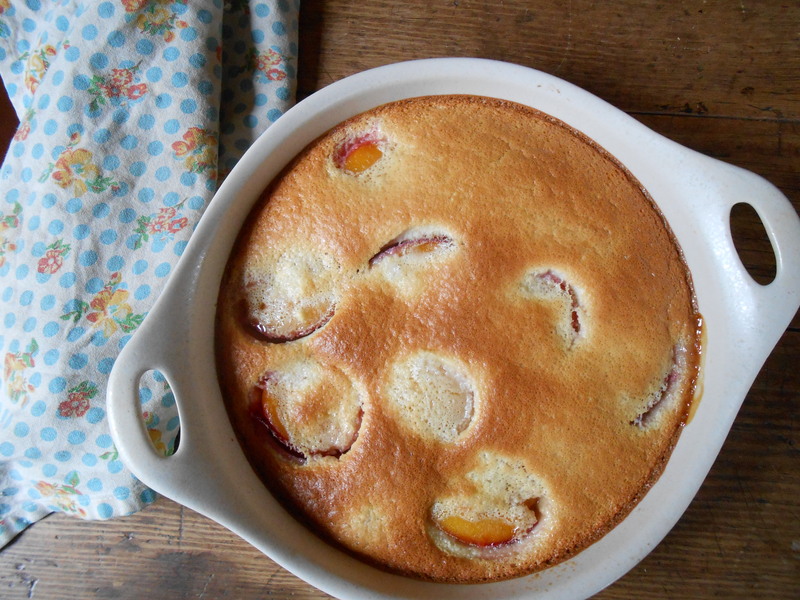 You may dust the clafoutis with powdered sugar if you like. We prefer ours without. And it is delightful served warm with a ball of vanilla bean ice cream on the side. Recipe adapted from William-Sonoma recipe catalog. Preheat oven to 375°F. Add 2 tablespoons of butter to your baking dish and place in the oven for a couple of minutes, until the butter is hot and bubbly. 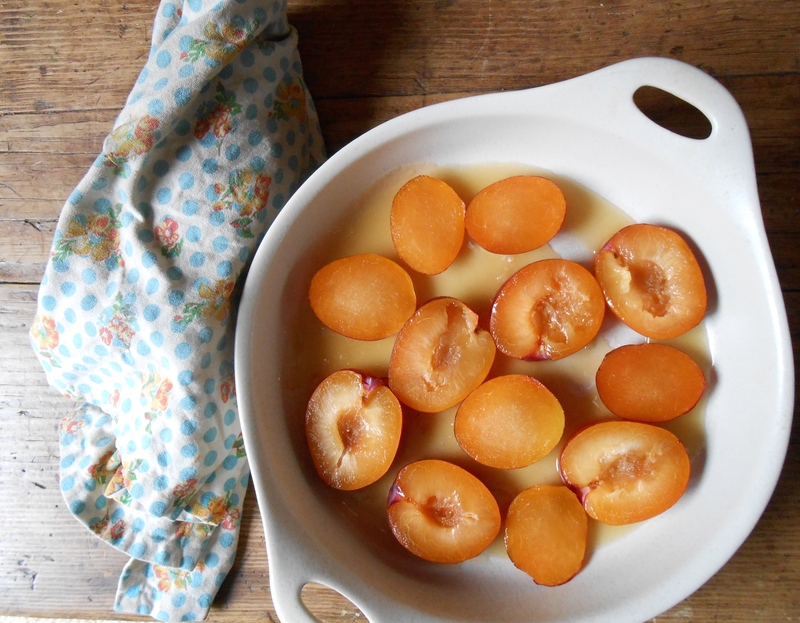 Arrange the apricots in an even layer in the bottom of the dish. In a blender, process the eggs, milk, sugar, lemon zest, vanilla, salt and flour until smooth. Pour the batter over the apricots. Bake until the clafoutis is puffed and golden brown, about 45 minutes. Let cool slightly on a wire rack. You are currently browsing entries tagged with baked apricot at COTTAGE GROVE HOUSE.